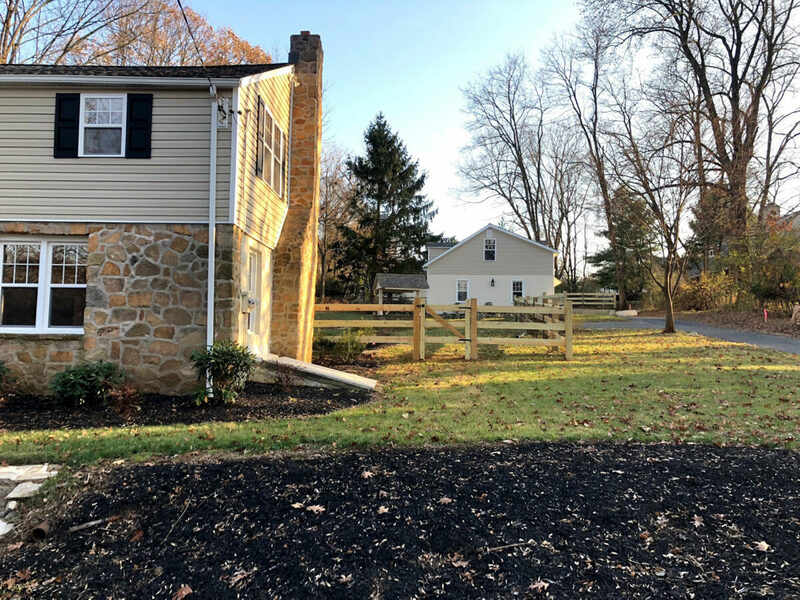 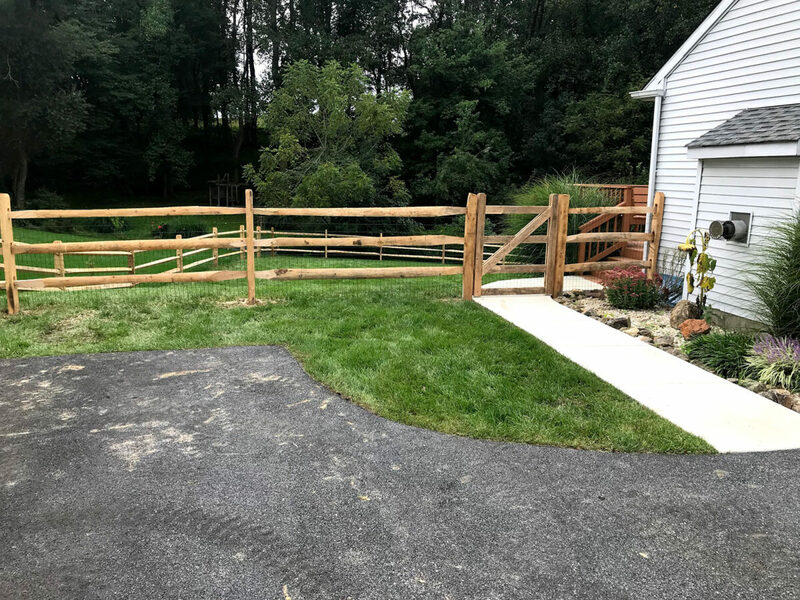 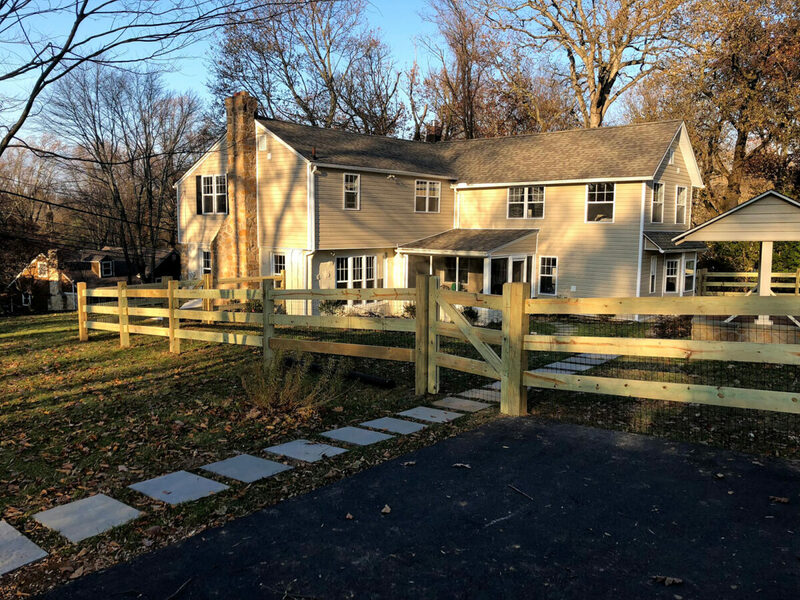 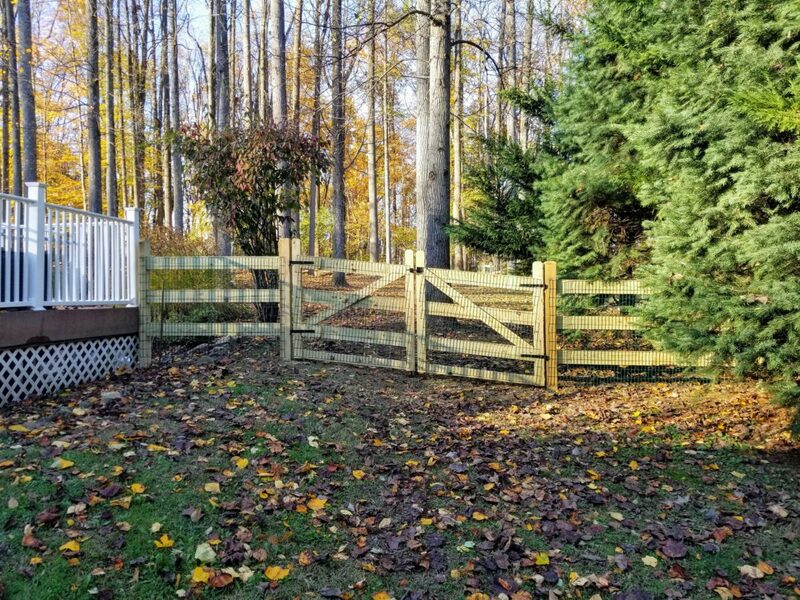 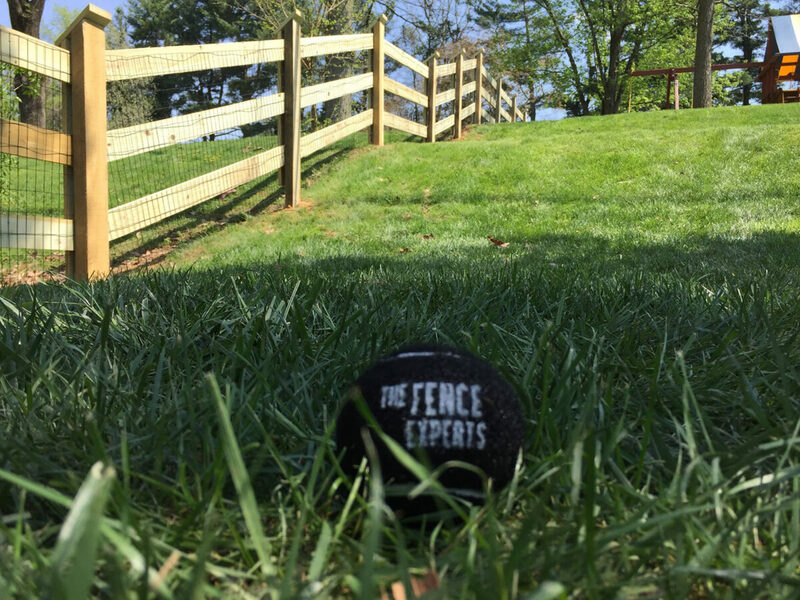 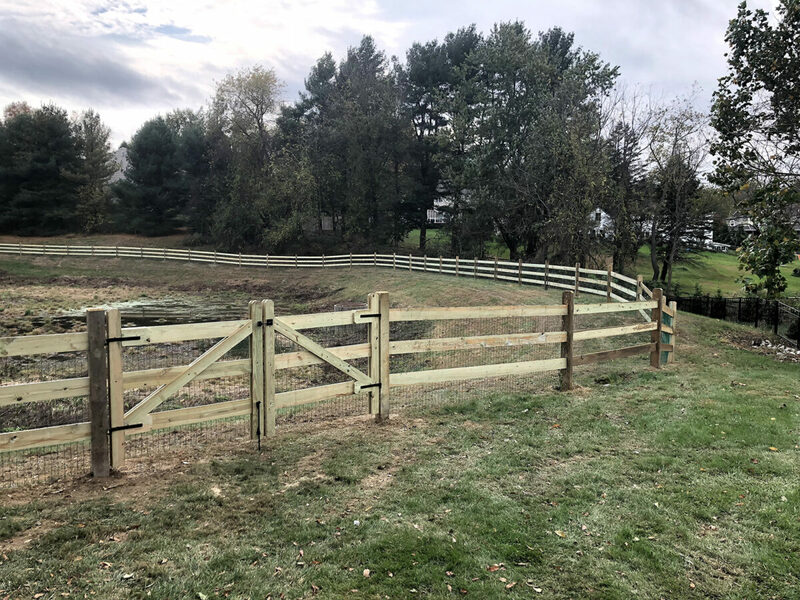 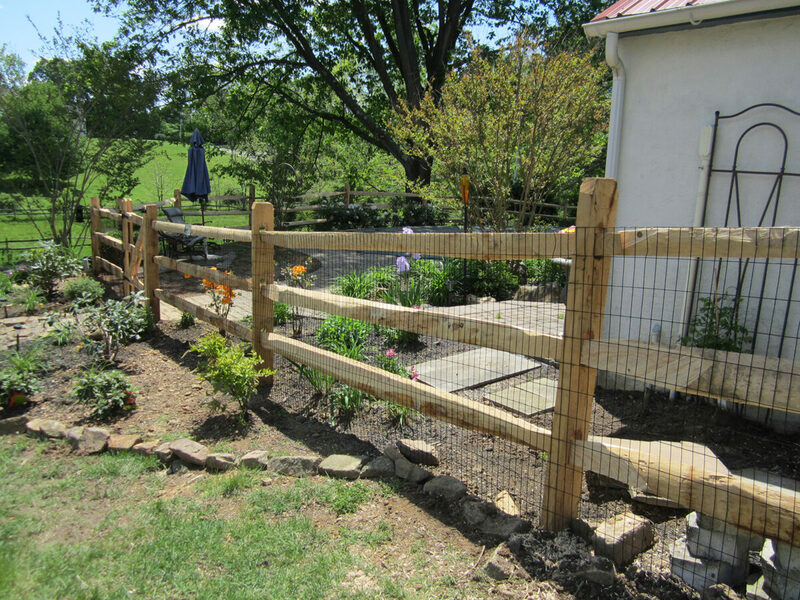 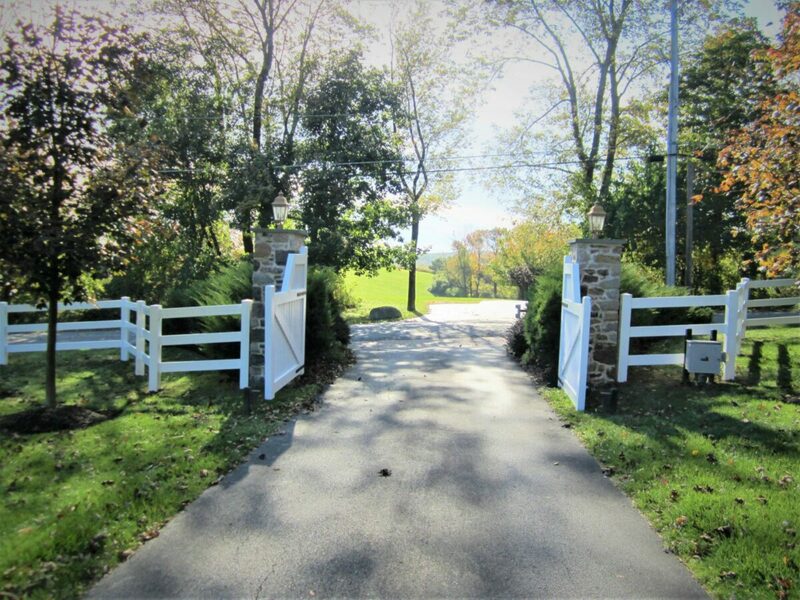 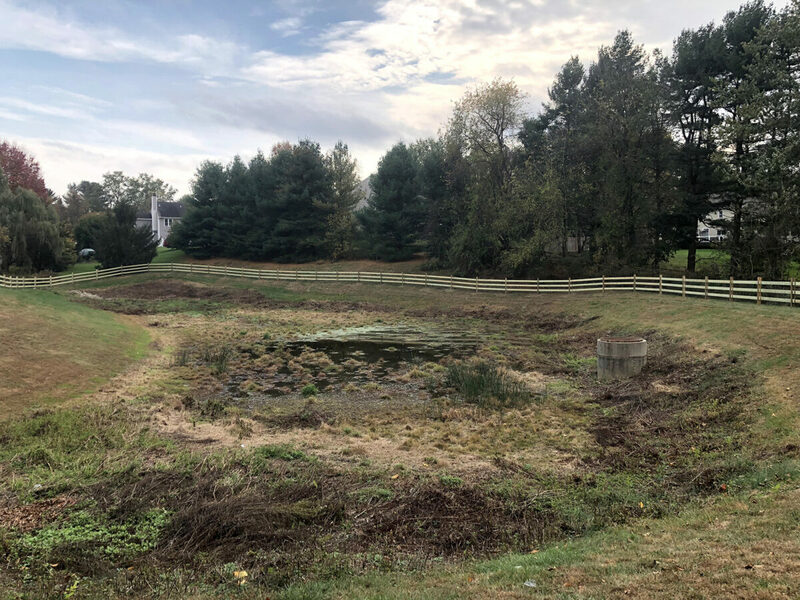 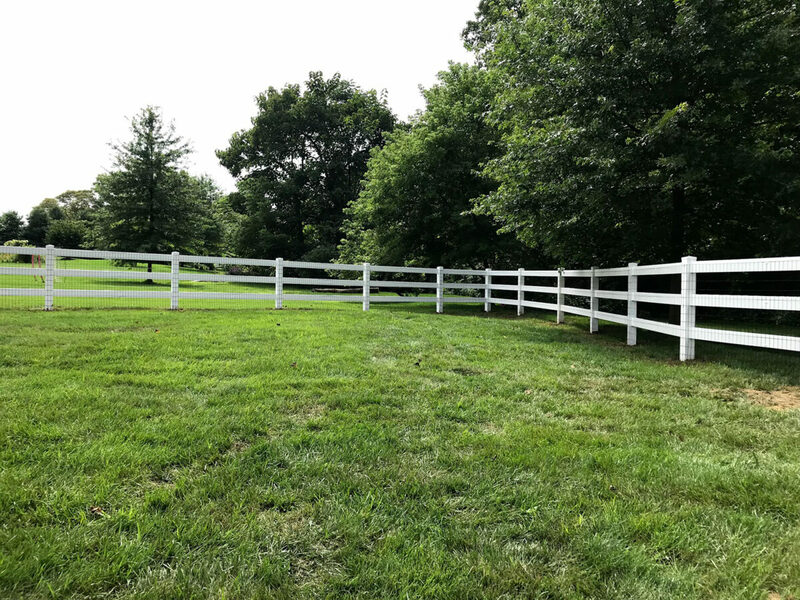 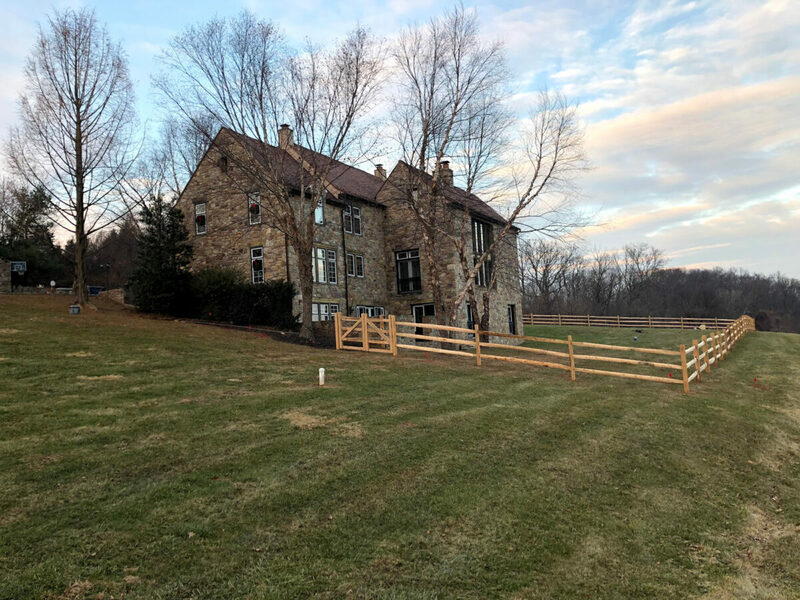 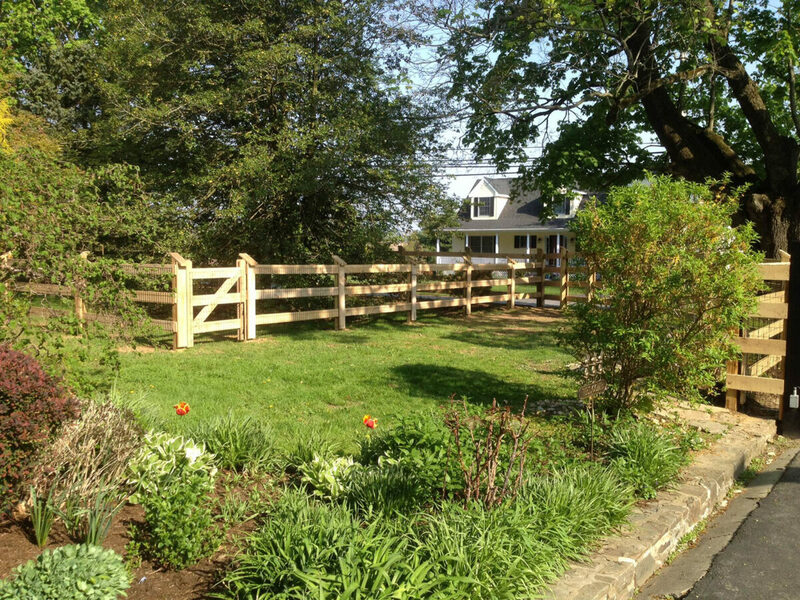 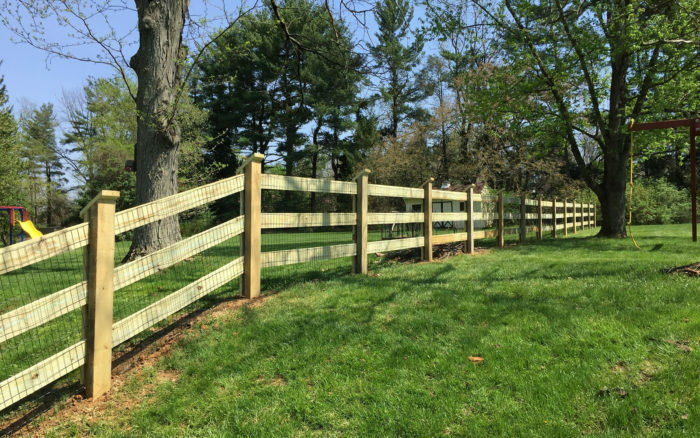 A rail fence is known and loved for the beauty it brings to the rolling hills on a horse farm and for the natural, country feel it brings to a neighborhood yard. 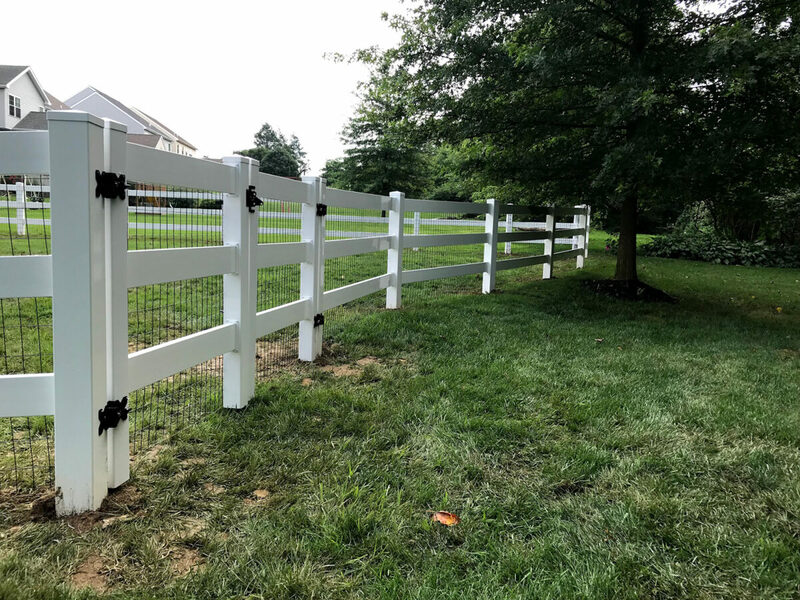 Designed for minimal visual obstruction, these fences bring security in a truly classic design that is sure to enhance your property while serving your family. 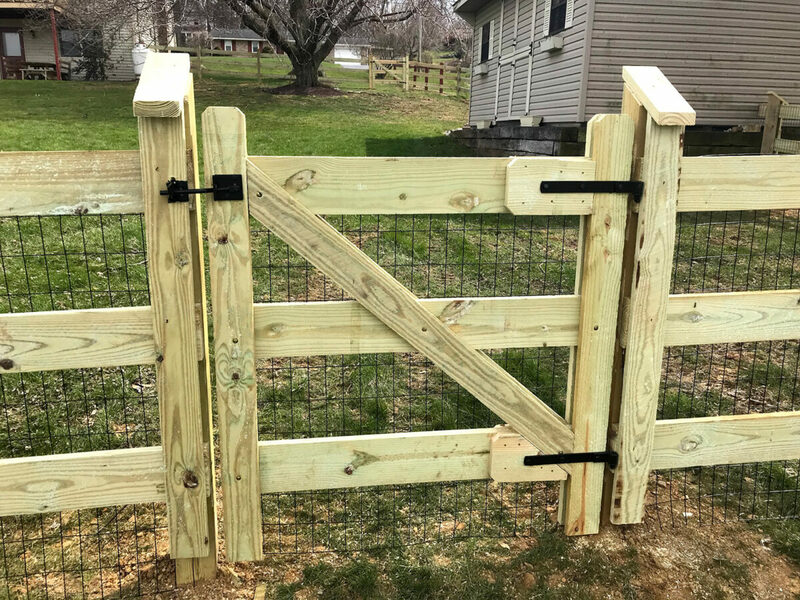 This naturally rustic combination is maintenance-free and has no added chemicals, making it extremely safe for your pets, kids, and the environment. 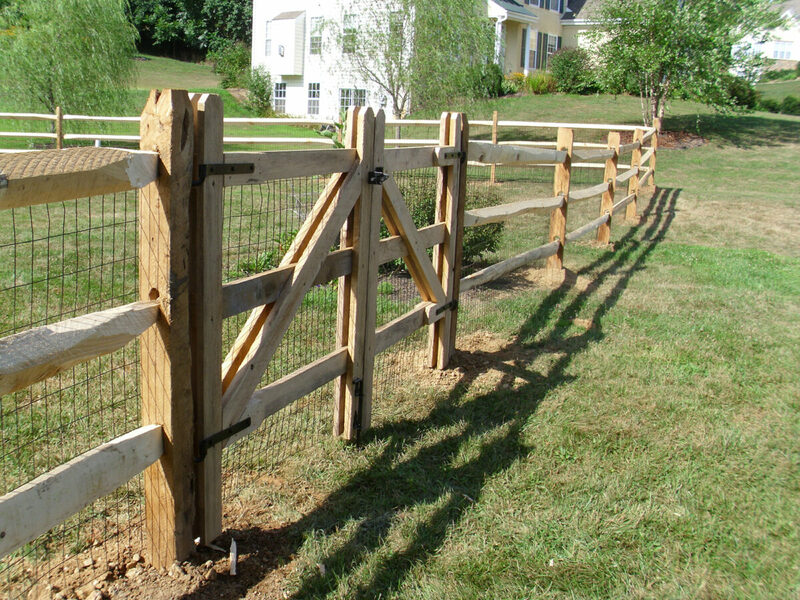 Locust is a very dense wood that is resistant to rot event when in contact with damp ground, making it ideal for posts. 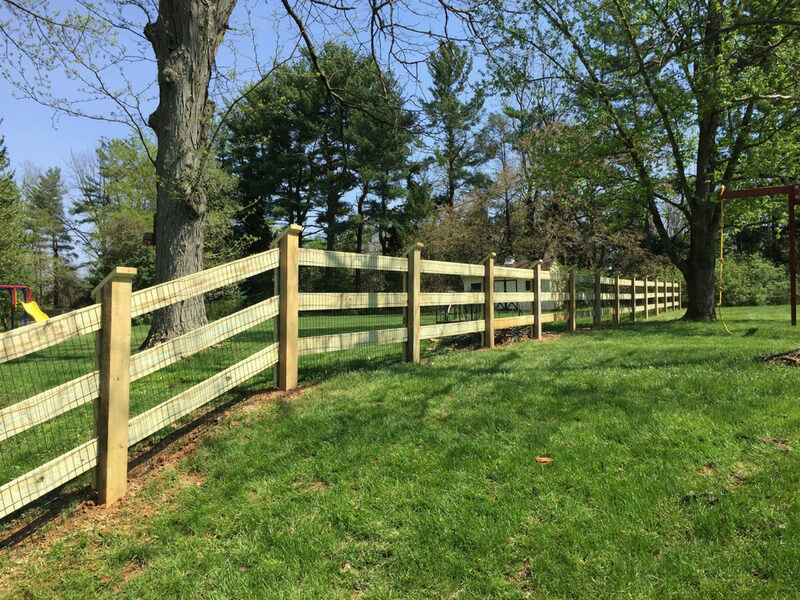 Hemlock is extremely stable and resistant to warping, making it perfect for rails. 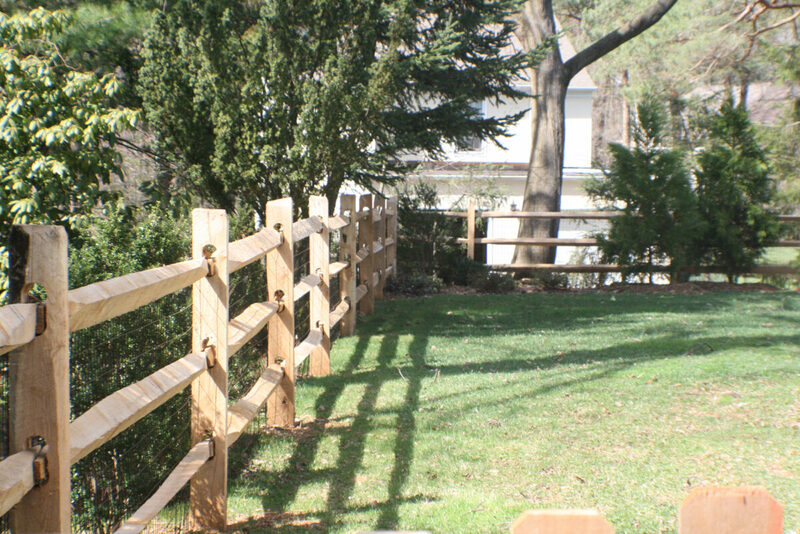 This long-lasting wood brings years of service with very little maintenance. 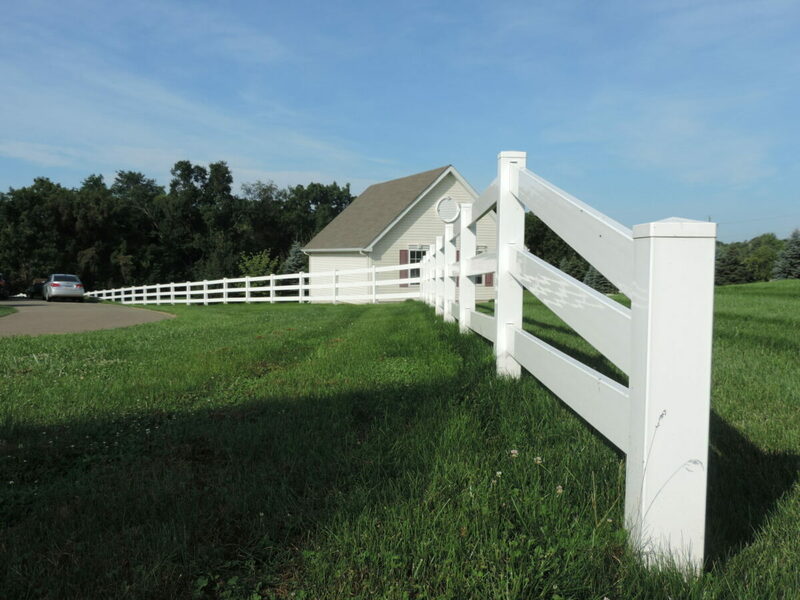 Typically smoother in appearance when compared to Locust/Hemlock, this material is another popular option. 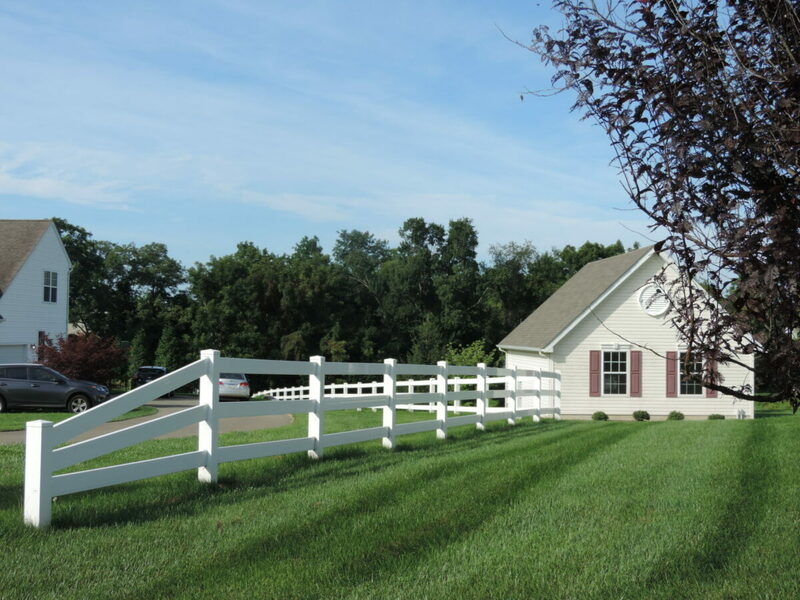 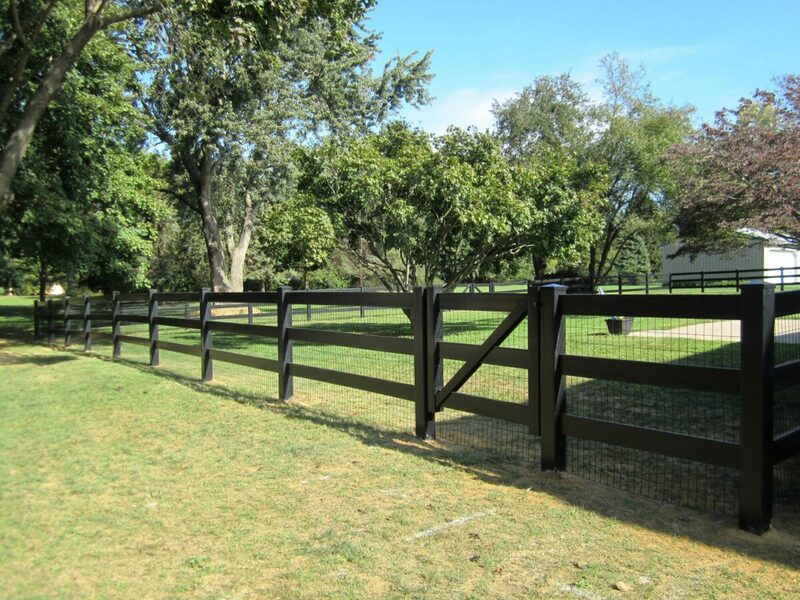 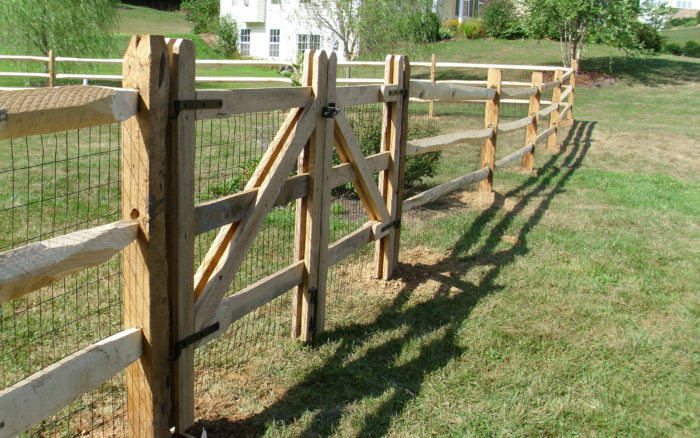 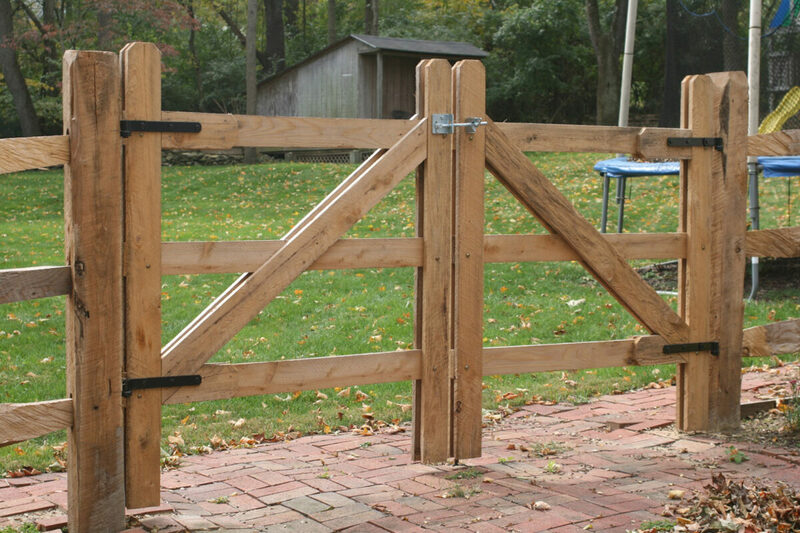 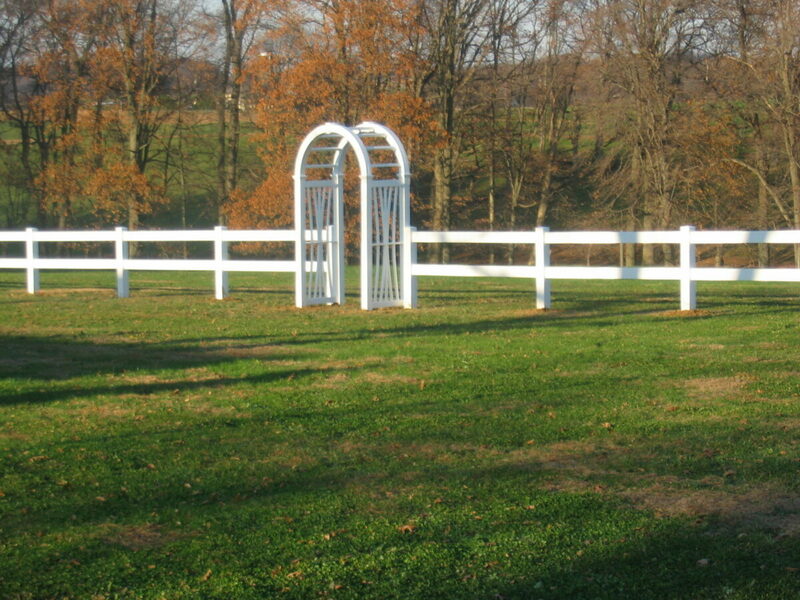 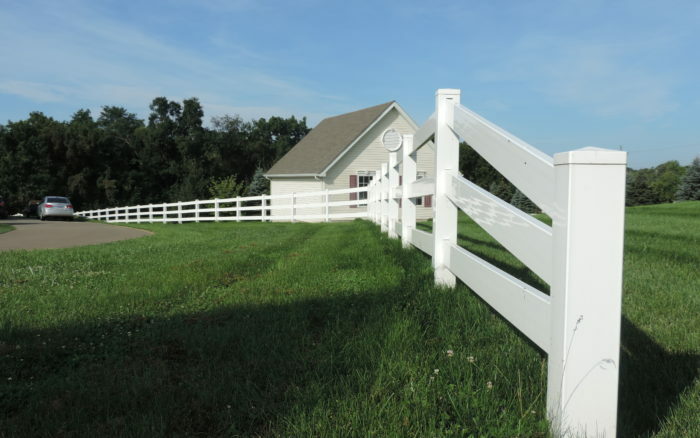 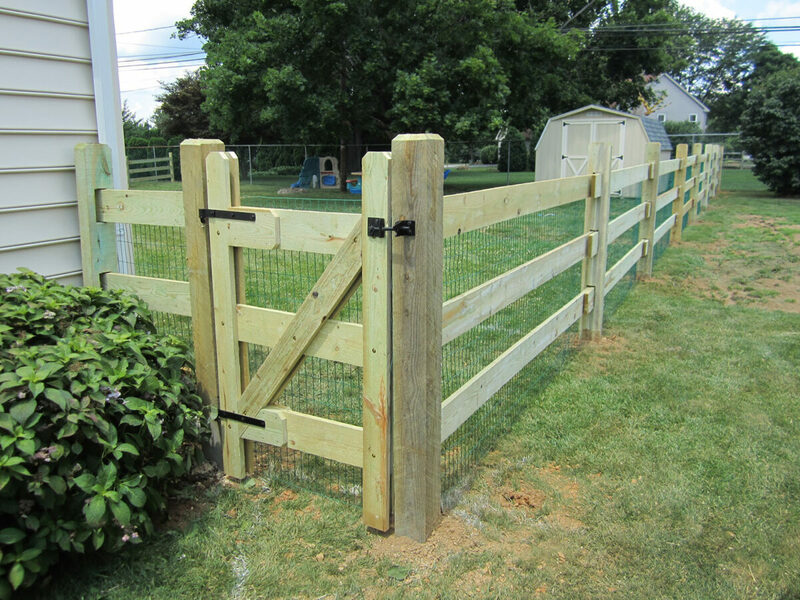 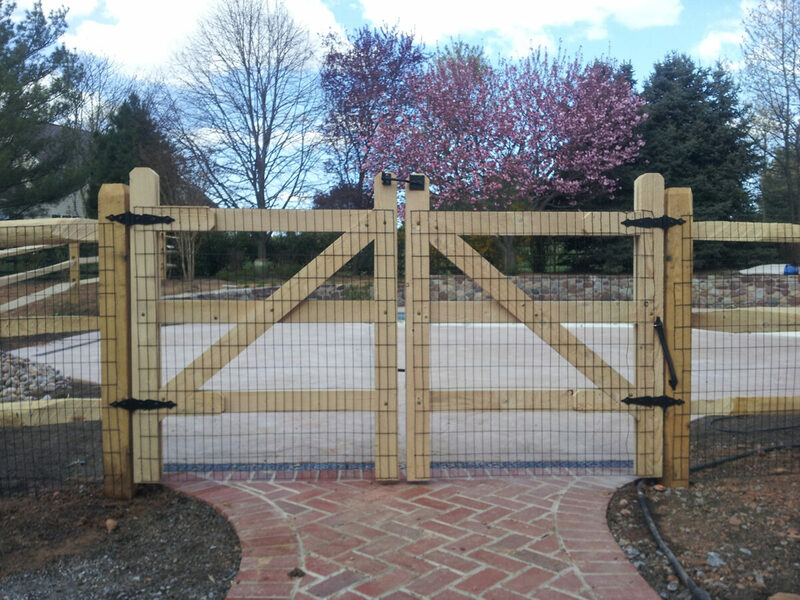 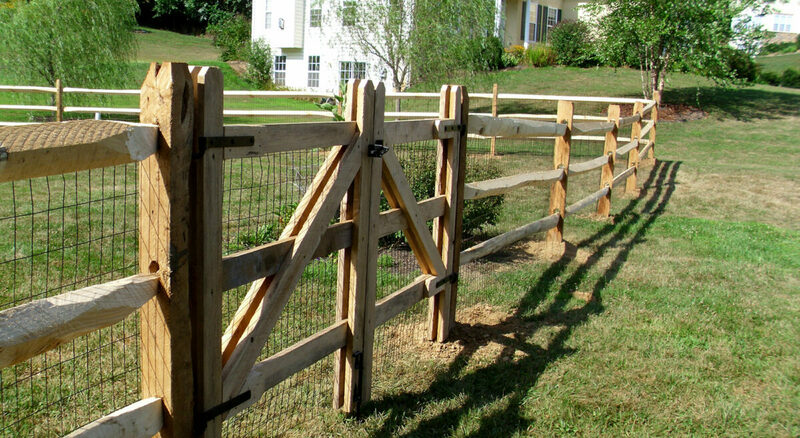 Vinyl rail fences are designed to bring you a classic look without the natural aging of wood. 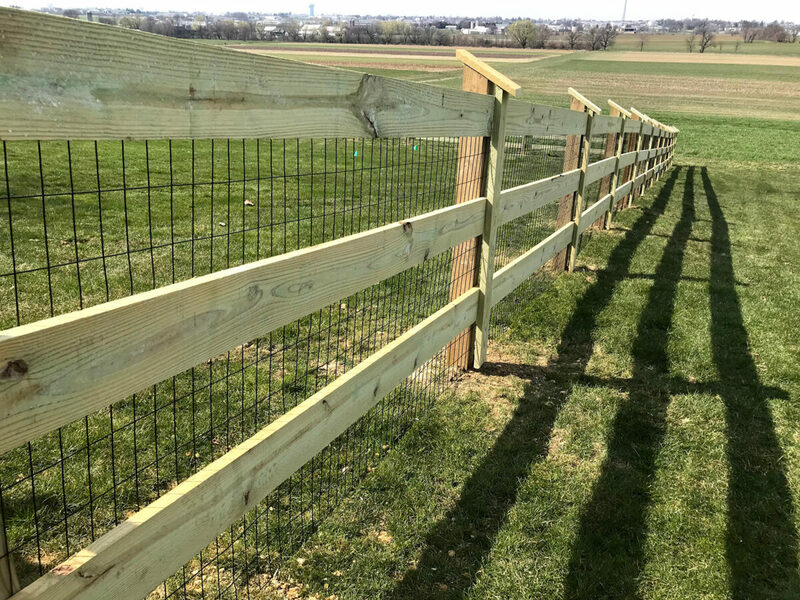 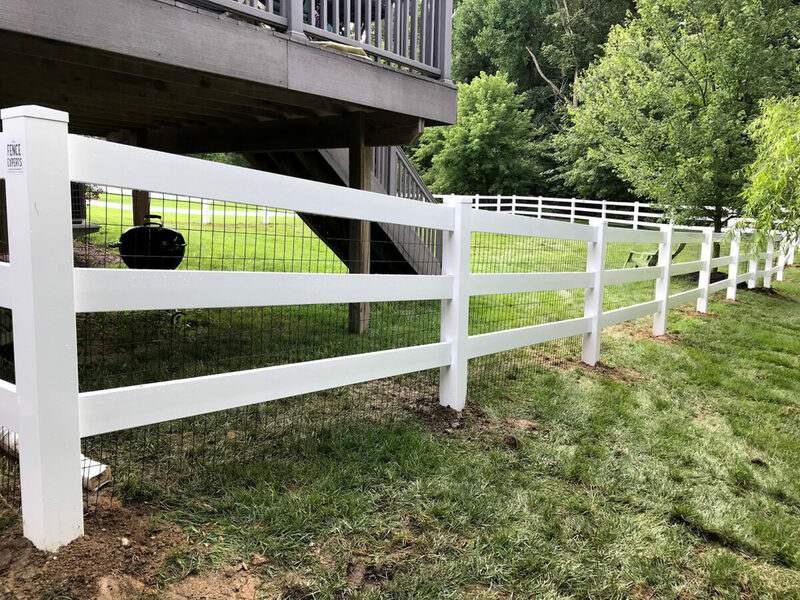 Our high quality vinyl has extra wall thickness and internally reinforced rails, bringing you the sturdiness you’d expect from a rail fence that can easily withstand years of outdoor activities.